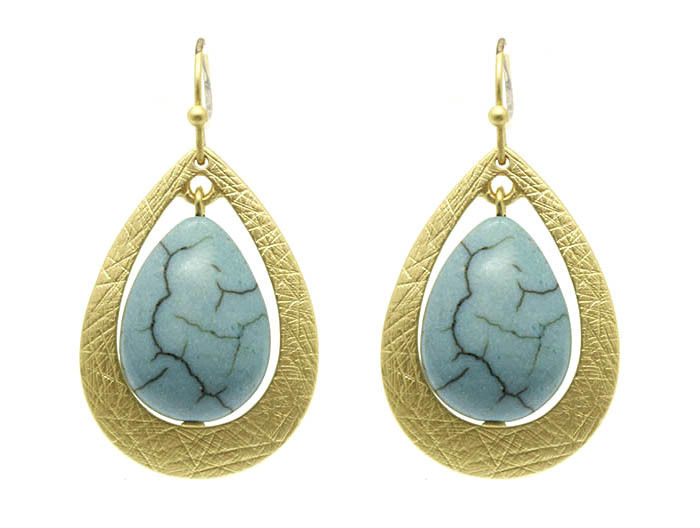 Brushed gold metalwork and a divine pear-shaped turquoise stone constitute the refined beauty of the Tracy drop earrings. Bring a sleek, modern grace to your look. Discover one of Australia's largest jewellery stores right here right now!